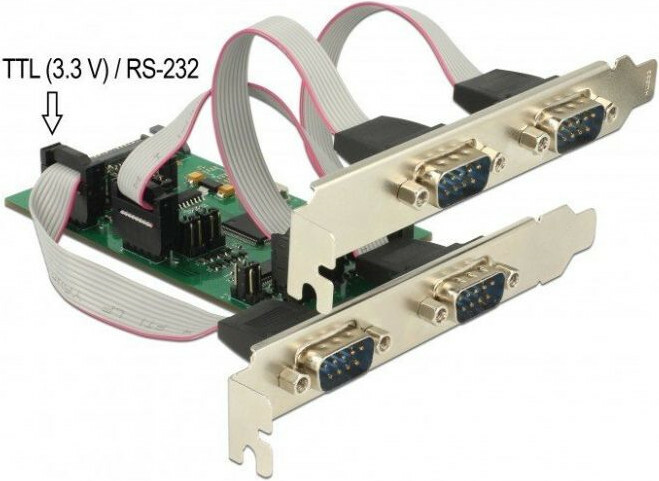 The PCI Express card by Delock expands a PC by three external RS-232 ports as well as one TTL 3.3 V / RS-232 port. Different devices such as gateways, plotters, printers, line extender, dongles or embedded modules, field programmable gate arrays (FPGA), controllers etc. can be connected to this card. 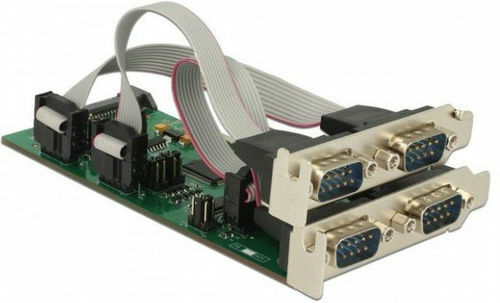 Connected devices can be optionally supplied with a voltage of 5 V or 12 V. By using the included low profile brackets, the PCI Express card can be also installed into a Mini-PC.